Rates starting from $155pn. Please request a quote for exact rates for your requirements. 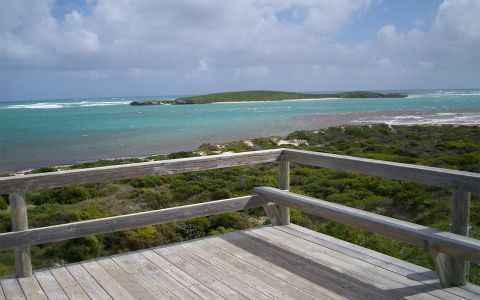 The Chalets are located 50m from Bay Beach and about 100m from a great windsurfing location. 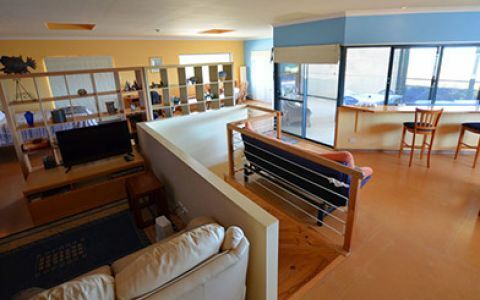 They consist of five 2-bedroom units and one Studio. The complex is pet friendly (by arrangement, Chalets only and excludes Studio), has a large out door common area with communal BBQ facilities and a laundry if required for those long stays away from home. Lancelin is 130km North of Perth and is still the best kept winter getaway secret on the coast. Lancelin is all about fishing, windsurfing, 4-wheel-driving, snorkelling and so much more including that laid back life style you wish you could live all year round, why not discover it for yourself. Check out our website www.lano.com.au or call us on 08 9655 1454 then head on up for a great time. See you on the beach. Minimum of one night stay from $165 (Price indicative only). The 5 fully self-contained two bedroom chalets offer the perfect accommodation option whether its for your next family holiday or somewhere to call home for the full windsurfing season. The Chalets feature a master bedroom with a queen size bed, a second bedroom with two sets of bunk beds, fully equipt kitchen/dining, bathroom, lounge/living area, with TV and DVD. Rates are for 2 adults. Charges apply for extra adults and children. Minimum one night stay from $155 (Price indicative only). 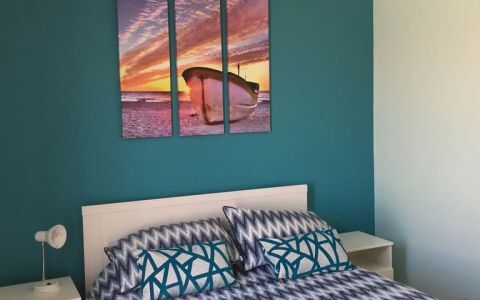 Whether you are looking for your next couples getaway or simply passing through Lancelin, the Studio apartment is ideal for you. 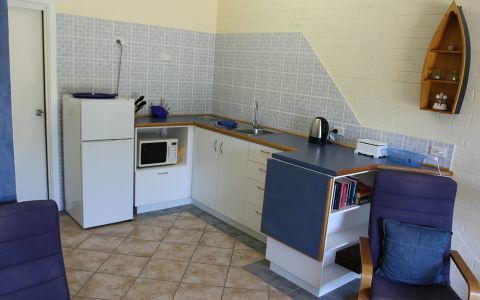 The Located directly across from the Lancelin bay the Studio features a queen size bed, kitchenette, and ensuite. Refunds for cancellations are provided at the owners discretion. Bond - Credit Card details will be recorded. 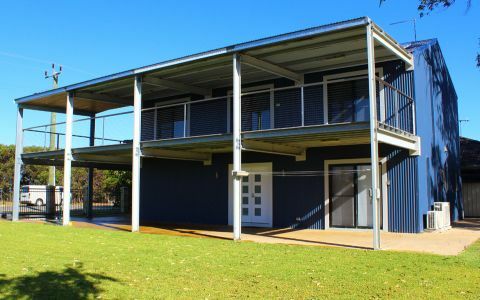 Located in the centre of town next to a great family friendly beach.